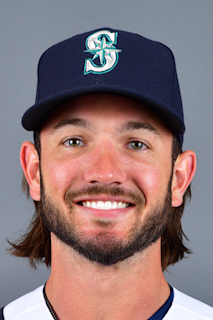 Forrest Wall does not have any MLB stats for the season. Draft: 2014, Colorado Rockies, CBAth rd. Forrest Alexander Wall... Played on the Florida Travel Baseball team with teammates Bo Bichette and Sean Reid-Foley in 2013...Hit more home runs than Jose Bautista in the first round of a charity home run derby to raise money for his high school in January of 2014... Selected by the Colorado Rockies in the first round (35th overall) of the 2014 MLB Draft out of Orangewood Christian High School in Maitland, Florida... Signed with the Rockies on June 14, 2014...Had committed to the University of North Carolina before being drafted. Started the year with Advanced-A Lancaster where he slashed .305/.382/.453 over 47 games...Made the move to Double-A Hartford on May 28 and played in 46 contests... Was traded from Colorado to Toronto along with 1B Chad Spanberger in exchange for RHP Seunghwan Oh on July 26... Finished his season with 35 games at Double-A New Hampshire, batting .271 (35-for-129) with seven doubles, two triples and a home run for the Fisher Cats... Went 5-for-21 (.238) with a double across six playoff games as New Hampshire claimed the Eastern League Championship, including a 10th-inning single to drive in two runs to win Game 1 of the Championship Series in Akron. January 28, 2019 Toronto Blue Jays invited non-roster CF Forrest Wall to spring training. July 26, 2018 CF Forrest Wall assigned to New Hampshire Fisher Cats. May 28, 2018 CF Forrest Wall assigned to Hartford Yard Goats from Lancaster JetHawks. September 29, 2017 Lancaster JetHawks activated CF Forrest Wall from the 7-day disabled list. May 3, 2017 Lancaster JetHawks placed CF Forrest Wall on the 7-day disabled list. March 3, 2017 2B Forrest Wall assigned to Colorado Rockies. May 18, 2016 Forrest Wall roster status changed by Modesto Nuts. May 11, 2016 Modesto Nuts placed 2B Forrest Wall on the 7-day disabled list. April 3, 2016 2B Forrest Wall assigned to Modesto Nuts from Asheville Tourists. August 4, 2015 2B Forrest Wall assigned to Asheville Tourists from Boise Hawks. July 25, 2015 Asheville Tourists sent 2B Forrest Wall on a rehab assignment to Boise Hawks. June 30, 2015 Asheville Tourists placed 2B Forrest Wall on the 7-day disabled list. April 7, 2015 2B Forrest Wall assigned to Asheville Tourists from Grand Junction Rockies. July 3, 2014 2B Forrest Wall assigned to Grand Junction Rockies. June 21, 2014 Colorado Rockies signed 2B Forrest Wall.